VERO BEACH, Fla. — It was around 9 in the morning, on Aug. 21 that Vero Beach police first became aware of Frank Cook. "This guy parked his car in the middle of the road and took off running," one 911 caller said. Five more 911 callers would follow. "Says his truck is out of gas, and his wife and kids are in danger at a school around the corner here," another caller said. "He's on something. He looks like he is about to die." Then, Cook ran into a Community Church and pre-school. "Community Pre-School here in Vero Beach. He's in the hallway in our main lobby. He's not well, he's not well," a caller said. "He's barefoot, he's delusional. He said there were people after him this morning. I'm not sure his children were actually here. He keeps grabbing at something in the back of his waist belt," another caller said. His children weren't there. When police caught up with Cook, after he ran a mile or two from the pre-school, Cook told them he had taken cocaine and an unknown substance. He asked them to check on his wife and children, screaming profanities, and telling officers, "If we don't go now, the samurai ninjas are going to kill my family." When told his children were OK, Cook responded, "What about my wife! She's probably been abducted." Incident reports show a witness at the pre-school noticed Frank Cook "was armed when he was inside the building yelling and causing a disturbance inside the hallway of the church building." The witness "stated that he could hear the subject yelling inside the building that "I am not here to shoot anyone" and shouting for his kids. A receptionist added that Cook "kept trying to get into some of the classrooms," so "she had all the teachers in the nearby classrooms lock-down and asked the rest of the classrooms to do the same." Police did find a loaded gun with "one round in the chamber" in Cook's waistband, although reports say Cook "never displayed a firearm nor made any threats to hurt anyone." "You had this gentleman walking in with a gun. It was very unsafe for everyone, and it was legal for him to do that," Florida State Sen. Lori Berman said. Following the incident, Cook was only charged with resisting arrest because had a concealed carry license. The State Attorney's Office says under Florida law they couldn't consider gun charges because Cook can carry his gun into a pre-school. The concealed carry statute prevents a licensed owner from carrying into a secondary or elementary school. Pre-schools do not apply to the law. "Why is there a division between the younger children?" Berman said. "Especially after Parkland, we're all on heightened alert when anytime somebody goes into a school who doesn't belong there." Six years ago, Berman tried to make it illegal to bring a gun into any child care facility. The bill died. Berman says she's going to "look into the possibility of filing legislation to close the loopholes that currently exist." But Eric Friday, the general counsel for the Florida Carry Organization, doesn't think it's that simple. "There's nothing you can write into a new law that would have changed anything here or is going to prevent the next criminal," Friday said. Friday says there should be fewer gun-free zones. "There's no reason why a person who is licensed to carry a concealed firearm is safe on the sidewalk outside of a school but suddenly a danger because they cross an imaginary boundary," Friday said. "It's something I'm going to continue to advocate for because I think it's crazy we have that distinction right now in our statutes. 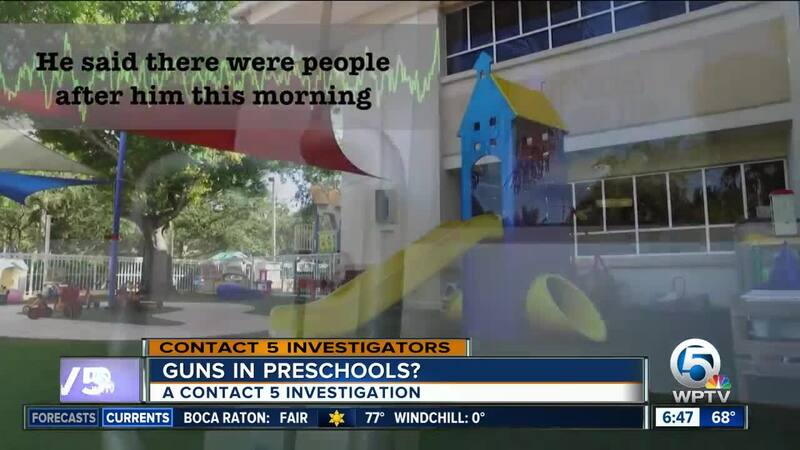 We don't want to send the message for people, yes it's legal for you to walk into a pre-school with a gun," Berman said. 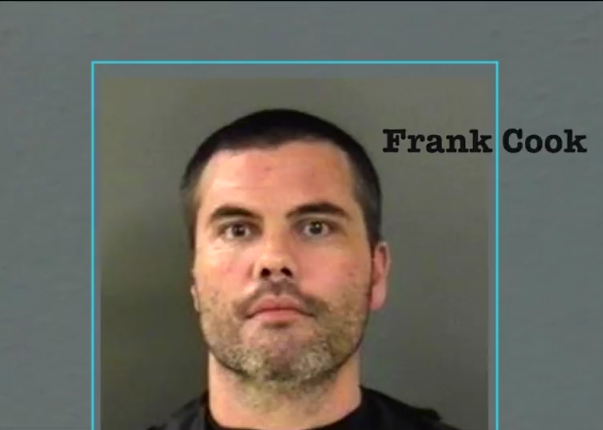 Currently, Frank Cook is legally barred from owning, possessing or purchasing a gun or ammo over the next 18 months. That's because he's on drug probation. Cook was arrested for possession of cocaine in June 2018. Also, while in a hospital emergency room, police said they saw Cook going through "drastic mood swings of anger, to sadness, and then to being calm as if coming down off narcotics." According to police records, Cook told them he "used cocaine every day for the past three years," "believed his house was "wiretapped" and that "helicopters flying to spy on him." Doctors decided to hold him, and police completed a risk protection order because "of multiple firearms at the residence." In early October, an Indian River County judge approved the risk protection order, barring Cook from owning, possessing, or purchasing a gun/ammo for the next 12 months. Cook had to hand over his concealed carry weapons permit as well.